2013 In Print Fiction Writing Contest Winners! 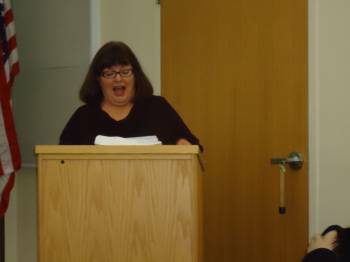 In Print members got together Saturday afternoon to celebrate their successes in 2013 and to congratulate the winners of the In Print Fiction Writing Contest. The judge – Christine Swanberg – said it was difficult to choose the winners from all the strong stories. In fact, along with the three winners, she added two honorable mentions. Congratulations to all the winners and all the writers who participated!